After last week’s fun of my selfish mum activities at Morning Gloryville Liverpool I decided I’d better redress the balance a little bit and headed off to the Albert Dock with two year old Primo on the lookout for some activities suitable for a Staycation with a Toddler – something I’m working on now that the excitement of our holiday abroad is over and I am in need of cheap (or better yet – free!) things to do. Unfortunately the day we picked for our first outing was almost wintry – cold, rainy, and very blustery. So we chose some indoor activities to keep us warm and to stop us getting blown into the dock. First stop was Gusto, where Primo made his own pizza and I fell in love with Risotto, one of my least favourite teas as a child. I’ve been rabbiting on about this trip quite a lot on Instagram but the truth is, sometime’s there’s days where I hardly get any other adult conversation, so going somewhere friendly and grown up which also caters for children and allows me to feed my face in lovely surroundings is a rare treat. 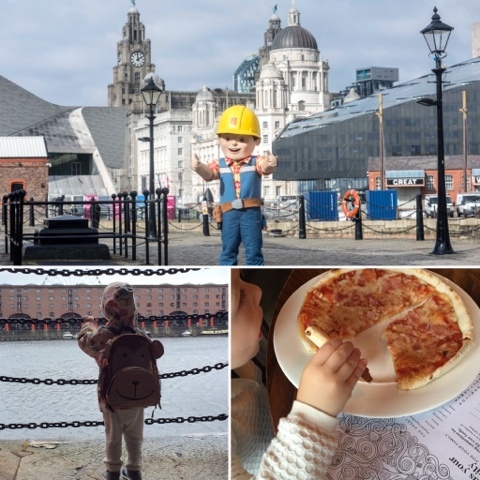 After we’d had our fill and were suitably warmed up from the weather we walked around to the other side of the Albert Dock to the Mattel Play! attraction – and indoor play centre featuring Thomas the Tank Engine, Bob the Builder, and Fireman Sam themed zones. The entry is £10 per child and £2 per adult and if you book online you can choose an allotted time slot but we just turned up at a random time without and were allowed in with no problems. It was very busy. So busy that Primo got a bit overexcited and perhaps missed some of the many things there were for him to don – especially in the Bob the Builder zone. We don’t watch Bob the Builder or Fireman Sam, so they were a bit lost on him but he had a whale of a time in the Thomas zone and absolutely hammered me in the gift shop. It’s so sneaky that the exit leads you right into it – it’s an age old trick and one which must be very expensive if you’ve got a few kids with you, especially paying £10 a pop entry too. 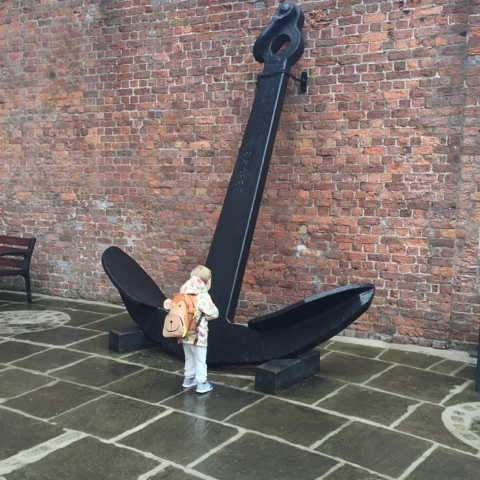 The weather outside put us off doing some of the other things that I wanted to do – an open top bus tour or take the ferry across the Mersey – but we’ll just have to go back soon. There’s so much going on over the next few weeks like the Folk Festival and Pirate Festival that I hardly need an excuse whatever the weather. It's lovely to see the things they make a beeline for isn't it? Primo totally overlooked the little shop in the Fireman Sam area and I know he'd have loved it if he'd only noticed it!